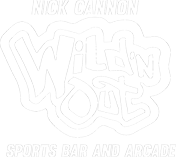 Nick Cannon’s 14,000-square-foot Wild ‘N Out will open later this summer, bringing next level entertainment to the Gaslamp Quarter. The full arcade will feature interactive games and memorabilia from the famed MTV hit show alongside a full-service sports bar with the largest televisions in San Diego. A monthly DJ appearance from Cannon will be complemented by various celebrity guests, comedy shows and the ‘Wild ‘N Out Girls. The introduction of Wild ‘N Out Sports Bar and Arcade will join Sugar Factory American Brasserie, confections and retail; and TCL Chinese Theatre’s first luxury cinema, to complete Theatre Box®, which will occupy much of one city block in a two-story, 73,000-square-foot building.